As I continue to acclimate myself to the the work of CHOSA, learning as I go on visits to our 8 different partners about the projects which they run, I cannot help but have a smile on my face when I meet the amazing women who run and work in these organisations. Each of them have the kindest hearts, warmest hugs, and infinite drive to provide for the orphaned and vulnerable children in their communities. Yesterday, we took the visiting supervisors of our current CHOSA volunteers around to a few of the partners that CHOSA supports, stopping in at Blessings Educare Centre, Philani Nutrition Centre, and Abaphumeleli Home of Safety. Upon each arrival the team was immediately greeted by friendly waves, hugs, and extended hands that led to guided tours of the crèche (preschool) or children’s home. There we no tears or sad faces, just smiles and joyful giggles. The love for these children is evident, as the Mamas (caregivers) of the children are caught constantly singing songs and giving praise and support to the little ones. It was very fitting to be able to have these visits scheduled on International Women’s Day. Most of the women working I’m sure had limited knowledge that this event was even occurring today, as South Africa has it’s own public holiday to celebrate women on August 9th, and they all had their hands full teaching a classroom full of kids, overseeing boys playing soccer in the street, and changing nappies (diapers). So to them it was just a regular day in the life. But for me, I put a special lens on these partner visits. Rather than focusing on the kids, as we often do, I took a special look at the Mamas, and was blown away by the passion and love that exudes from them. Interestingly enough, this is exactly the kind of research that the volunteers who are working with CHOSA are conducting. Their research seeks to understand the Mamas role, as both a caregiver for a career, and often times a mother at home. How are they able to process and balance these roles, while coping with the stresses of having to care for 30 as opposed to 3 children on a daily basis? CHOSA is excited to support such research and cannot wait to hear about their findings. As we went from a Grade R (Kindergarten) classroom at Blessings to a baby room, I overheard the teacher say to her children how proud they had made her, as they successfully answered questions about the materials they had been learning in the class. Joyfully shouting their shapes and colours all in English, I was blown away by these children’s knowledge! Most children from Xhosa homes don’t begin speaking English until their school work transitions to being taught in English in Grade 4, so these kids are way ahead of the curve! Mamas like this, who teach from their heart, and define success through the children that they teach, are just a small glimpse into the power of women within the local communities, putting the children before themselves to give them a future that they deserve. 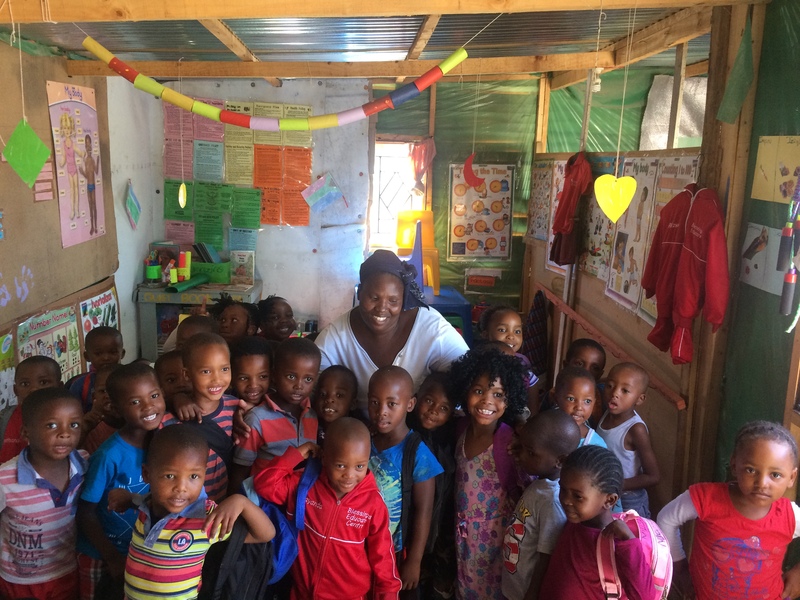 It is these women who inspire CHOSA staff members to continually work to fundraise and provide capacity building to their organisations, because of their deep rooted dedication to sharing a home, protection, and love to children in need. Thank you Mamas for all that you do!